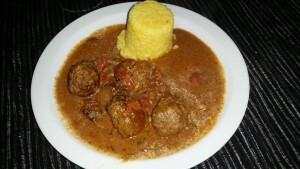 This is my long awaited Lamb Kofta Curry which I made with Ginge and Greg for our dinner party some time ago. 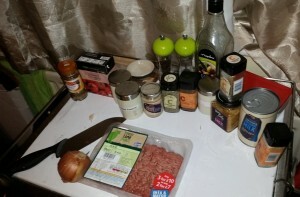 I’ve adapted this from a Dean Edwards recipe for Beef Kofta. I’m a big fan of Dean’s, I followed his masterchef series and have since enjoyed his work on “Take on The Takeaway”, Lorraine and This Morning. When he released his cookbook “Mincespiration” I had to buy it. Why, because I’m Dean Edwards fan duh! 😆 no not just that but because, as you know I’m a massive fan of Mince, in any form! 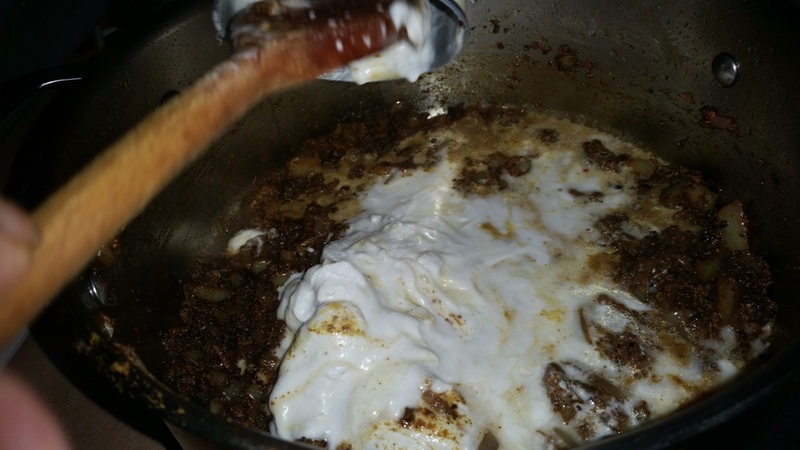 This may look complicated because of the amount of ingredients above but honestly it isn’t some of it can be made the night before, this is my take on his recipe. 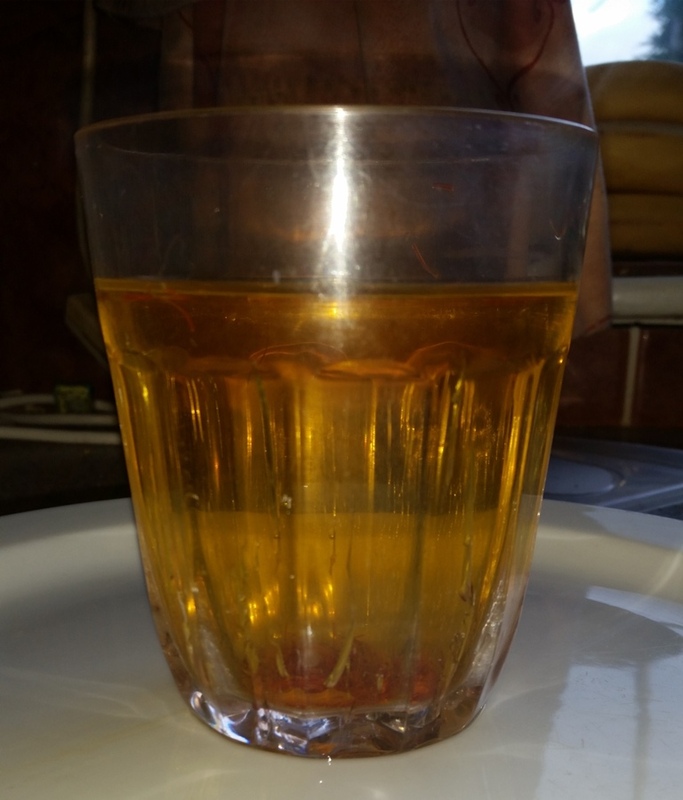 For the authentic recipe…. buy the book! I did, I bought it from Amazon and at the moment it’s one of my favourite cookery books. 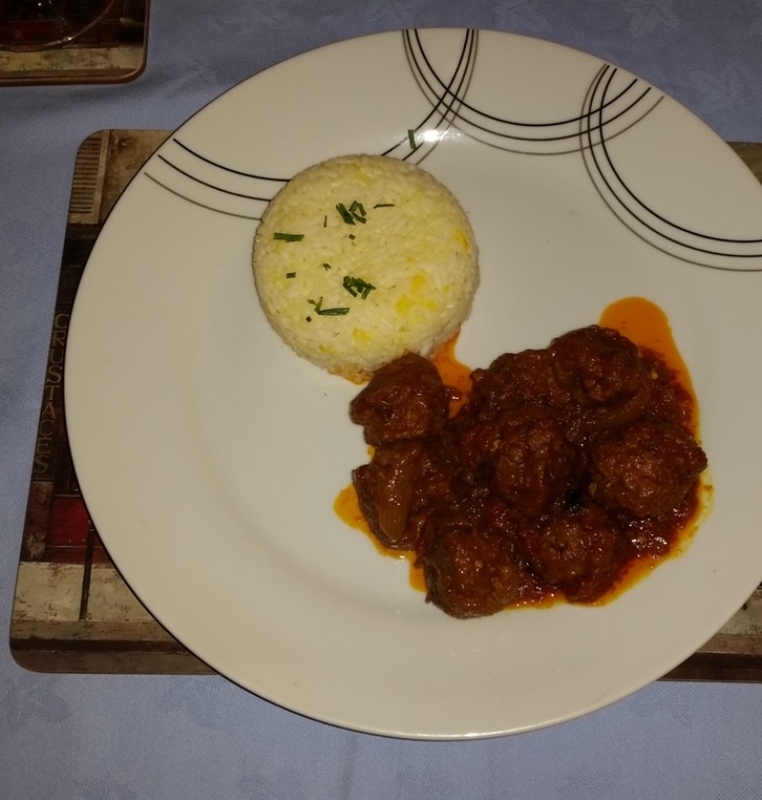 You’ll know this already as this is the second recipe I’ve made from it, the first one was Dean Edwards Thai Pork Meatball Curry. To make it authentic in my mind I used Lamb mince but the original recipe states you should use beef… lamb, beef, who cares! It’s all good! 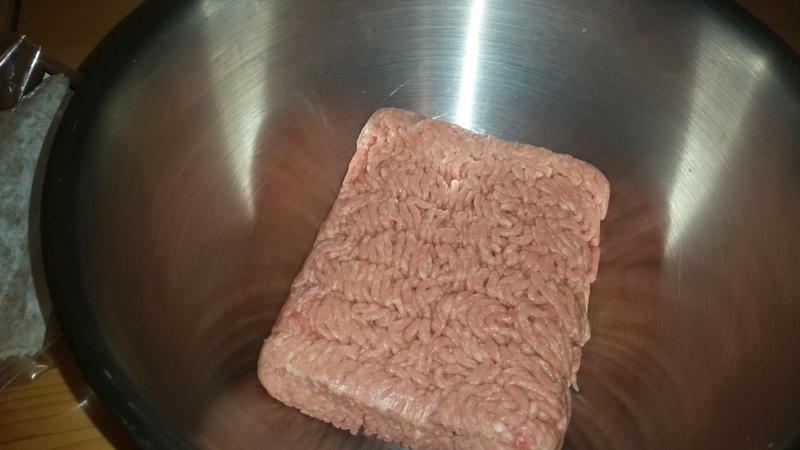 Place the lamb in a bowl, I have a big silver bowl that I use for recipes like this that require a lot of mixing, this does because you’ve got to break up the meat and get all the flavourings in to it. Chop the onions in to half moon shapes, we’re going to put them in to a food processor and blitz them, why because it’s quicker than finely chopping everything! That was the main reason but also it turns the onions in to a paste almost which can help to bind the koftas. 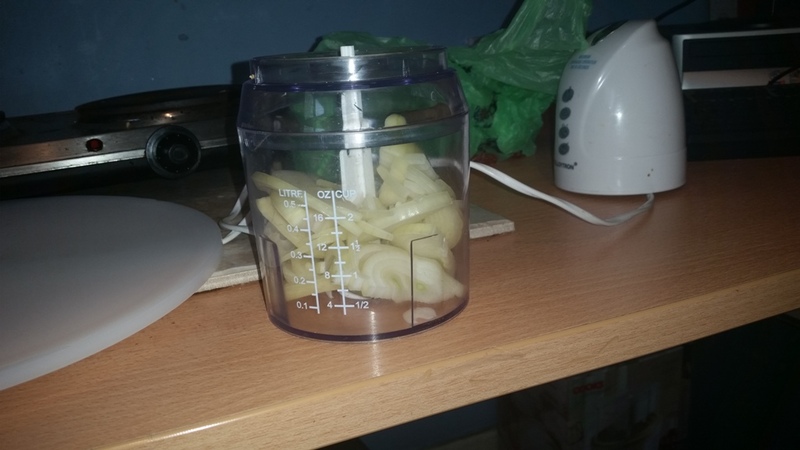 Place in a mini food processor and blend, obviously if you haven’t got one or you can’t be arsed getting it out then chop the onion by hand, but I would try and keep them quite small. Once you’ve chopped the onion by hand add it to the meat. 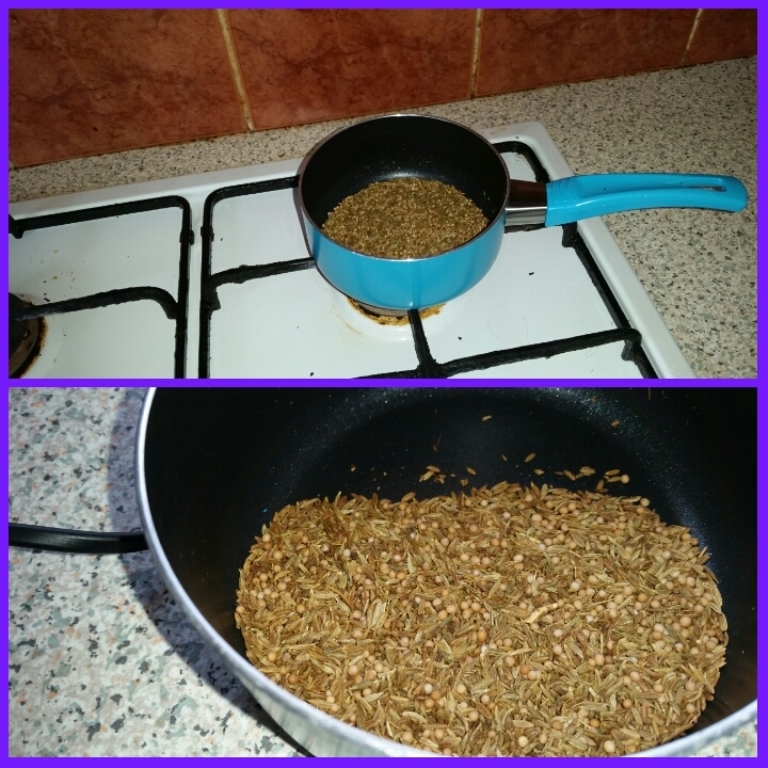 To the onion mixture add about 1 Tbs f Dry Mixed herbs, the recipe originally called for 3 Tbs of fresh Coriander, I didn’t have that – if I had I wouldn’t have used that much as I don’t really like fresh coriander. 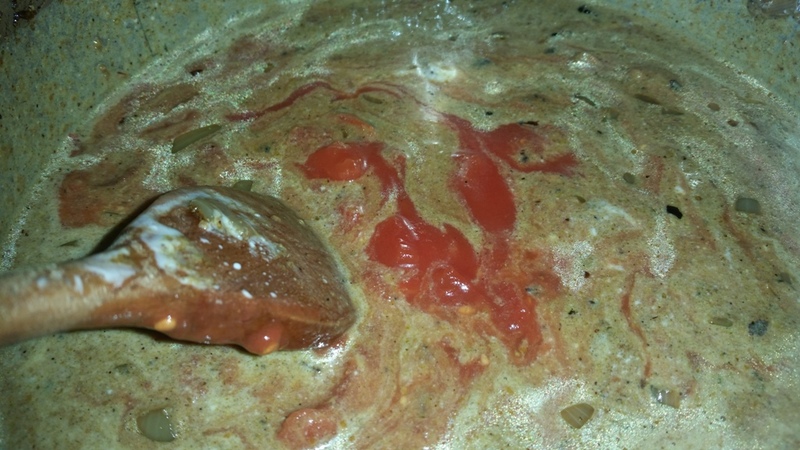 Once you’ve done that add 2tsp of Garam Masala. 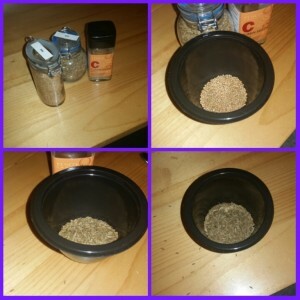 Garam Masala is Hindi, Garam is hot and Masala is a mix of spices, it is usually used in North Indian and South Asian cooking and is a mix of spices. 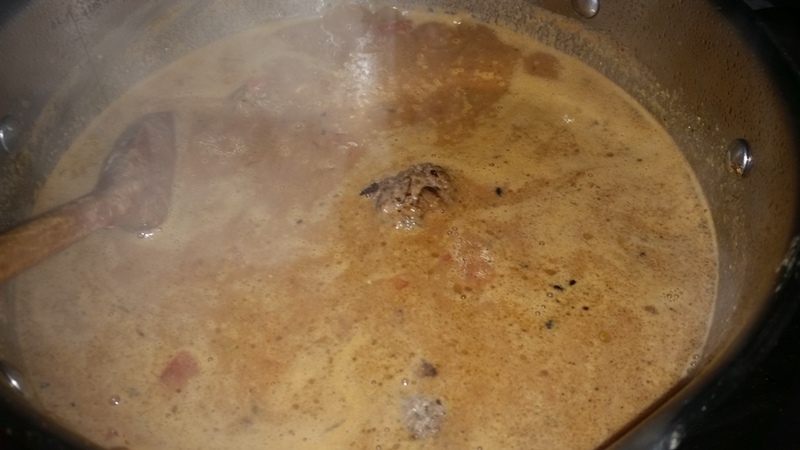 Next add ½ tsp of chilli powder, or as much or as little as you like – don’t leave it out, if you’re not a fan of heat just put a pinch in, it’ll be better with it in. Season with salt and pepper. Shape in to golf ball sized balls, you can place them in the fridge for them to set – these can be left over night or until you are ready to cook them, at least half an hour. 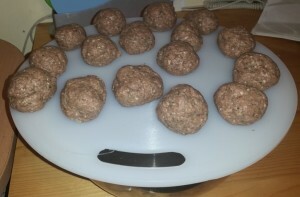 Now we’ve made the koftas we can make the sauce, the spices in the sauce take the form of ground spices, which are bought all ready ground and whole spices which we will grind yourself. For the ground spices place 1 Tbs of Garam Masala, and 1 tsp each of Ground Turmeric and Ground Cumin in a small bowl, mix them up so they combine and then set aside for later on, you can do this and the whole spices the night before if it’s easier. For the whole spices you’ll need Coriander Seeds, Cumin Seeds and Mustard Seeds. Gently dry fry the whole spices in a small pan on a low heat… be careful they can burn quickly. Once they have browned and starting to smell lovely take them off the heat. Place the seeds in to a spice grinder or a coffee grinder, the one above I bought from Amazon a few years ago it’s a James Martin Spice Grinder. 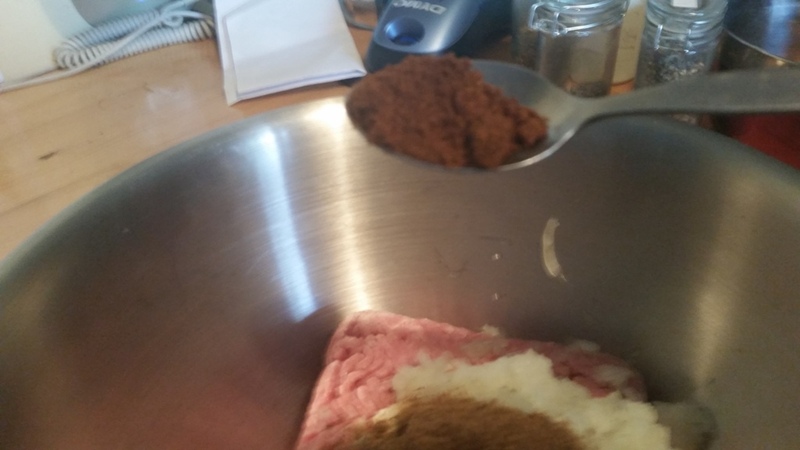 If I’m honest I only started using it when I launched Wheelie Good Meals but it’s great, it does a really good job on spices and doesn’t take too long doing it either. 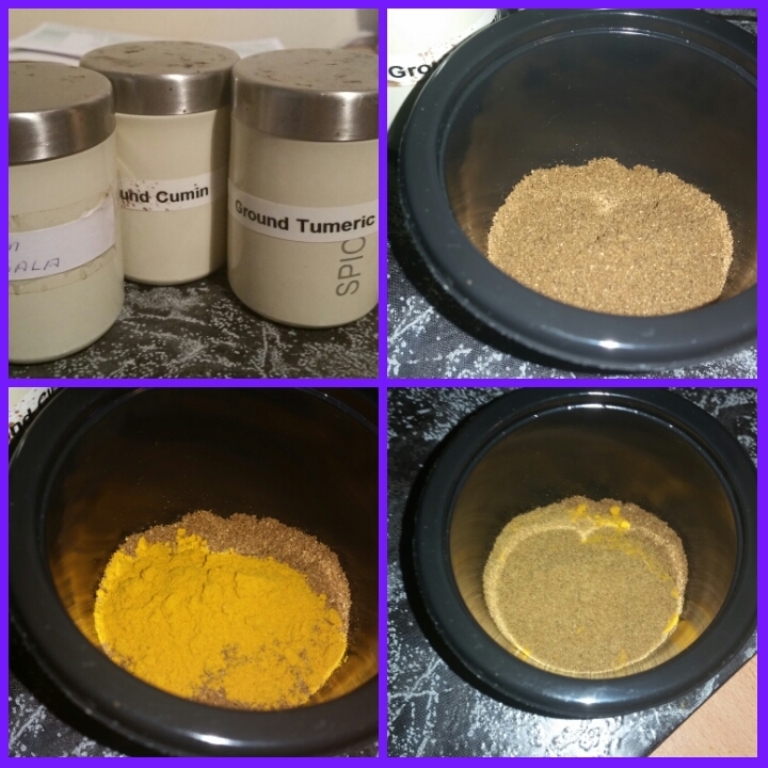 You could do as Dean Edwards suggests and use a pestle and mortar to crush the spices, that would be more authentic… and more hard work 😆 . Everything you’ve done so far can be done the day before you want to eat this recipe. 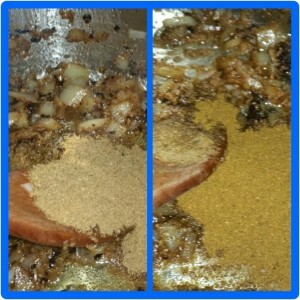 Now this needs to be done on the day you’re going to serve you’re curry. 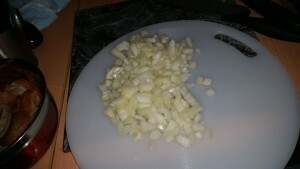 Finely chop the onions I used 1 and ½ but you can use more or less. 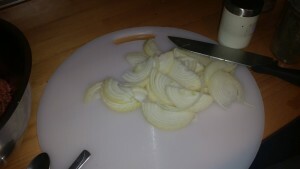 The onion gives the main body to the sauce really so don’t skimp. 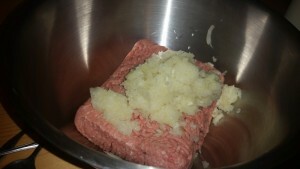 I chopped these to give the sauce a bit of texture. 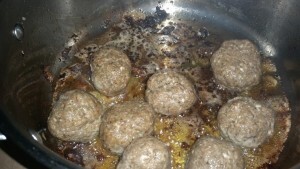 Put some oil in a pan, heat and then put the koftas in, fry until they are golden brown. Don’t worry too much about them because they’re going to be finished off in the sauce, when they are brown take them out and put them on a plate, cover with foil and set aside. Fry off the onions and the 2 tsp Minced Garlic Granules (like the picture above) then add the 2tsp of lazy ginger, I’ve used lazy ginger because it’s what I had in the cupboard if you were using real ginger I’d grate a thumb sized piece, remember if you like it hot leave the skin on! Add the ground spices we prepared earlier and give them a stir, it’s important that the onions, ginger and garlic get to know each other. Then add the ground whole spices we also prepared earlier, they need to get to know everyone too so give them a stir, cook until they start to become fragrant. 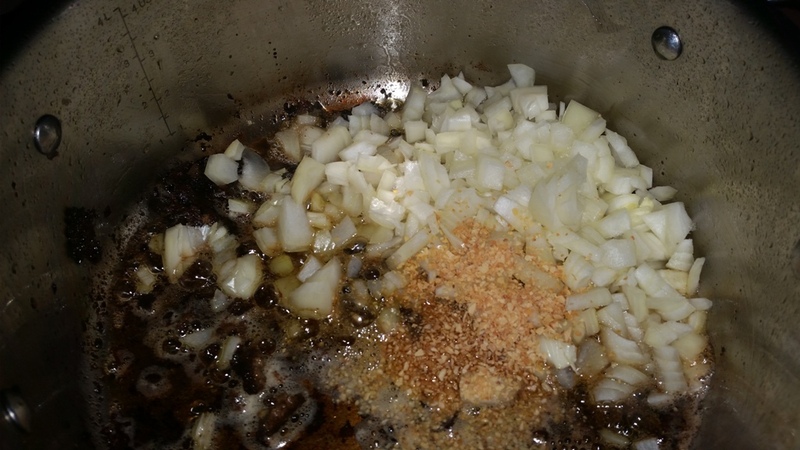 To the spices, onions, garlic and ginger add a tin of coconut milk, give it a stir to make sure it all combines then add the tin of tomatoes. Once you’ve added them give the whole thing a good stir to ensure everything gets to know each other, there’s nothing worse than being invited to a party and not being introduced to all the guests. 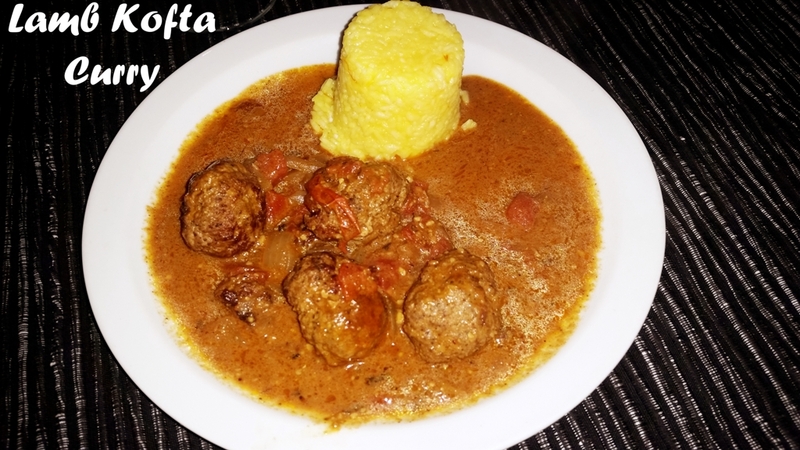 I’ve chose to used chopped tinned tomatoes as opposed to pasata in Dean’s recipe because I wanted another texture in the meal. 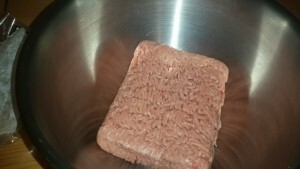 Add the kofta’s and cook gently for 40 – 50 minutes covered. 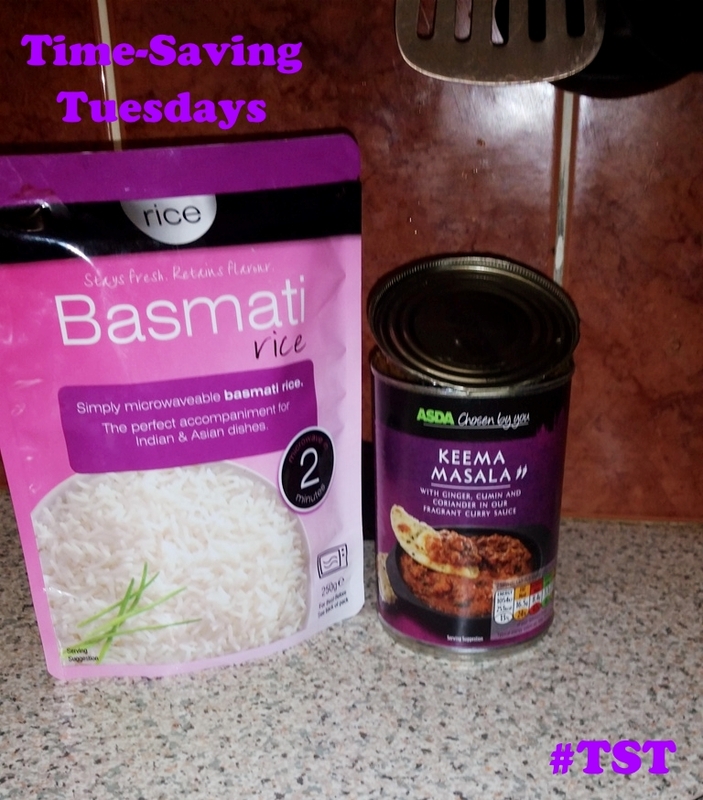 While the Kofta is simmering away we need to crack on with the rice. 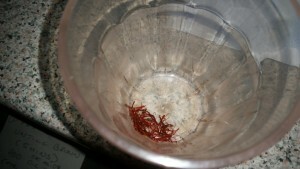 If you are using saffron place some strands in a glass. Try not to use too many because they say saffron can have a metallic taste. Saffron is more expensive than gold apparently – that’s another reason to be sparing with it. 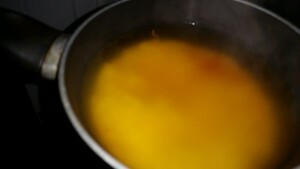 Pour some boiling water on top of the saffron and allow it to steep for about fifteen minutes. Place the water and the saffron along with more water on top of the rice and cook using the boiling method. 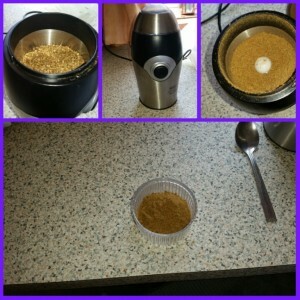 Alternatively you could use easy cook rice which can usually be microwaved in two minutes. Serve on a plate with the boiled rice, I’ve made this twice, the first time (first picture) I didn’t steep the saffron if I remember correctly and the second time I did but the curry was more saucier than the first time. The point I’m making with this is don’t worry if things turn out different each time you make them – I don’t! Do things your way, how you feel comfortable and at your own pace and as long as what you cook tastes nice, or at least is edible then you’re on a winner. This is a stunning recipe, really rich with deep Moroccan flavours. The colour of the sauce was enticing and just made you want to eat it. Ginge and Greg both enjoyed it, as did Stacey the second time I cooked it. Remember you can find us on Instagram, we’ve taken off a little bit recently because, we’ve had a lot of likes and a couple of comments in the last few weeks. 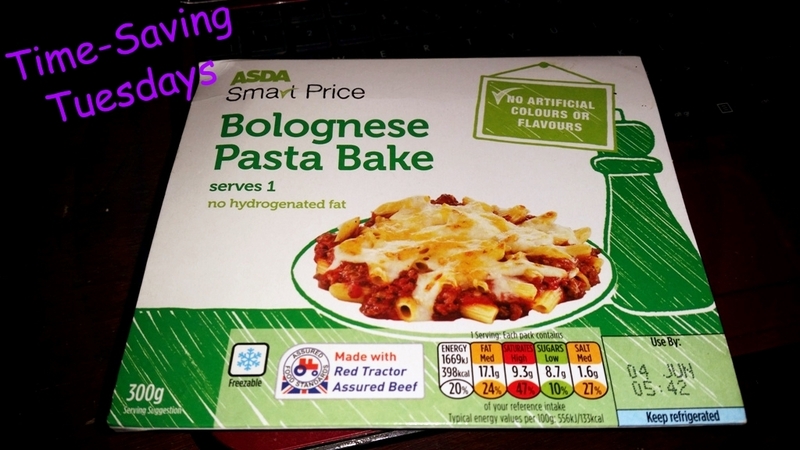 Come back on Tuesday for my Review of Asda’s Keema Masala, I know a few of you liked last week’s Asda Pasta Bake and have bought it because of the review…. let’s hope I like this one, but if I don’t, you’ll know about it 😆 ! Here is my first attempt at a video for my recipes, I know it’s not brilliant but it’s a first attempt. The idea came from Melanie from Melanie’s Food Adventures and I used Photostory to create it, the music was generated from Photostory. We’ll also be having more from Melanie with her guest post later on this week, it’s a Lemon, Poppy Seed and Raspberry Cake, it sounds fab… don’t miss it! Yum! This looks amazing and I love the step-by-step directions!